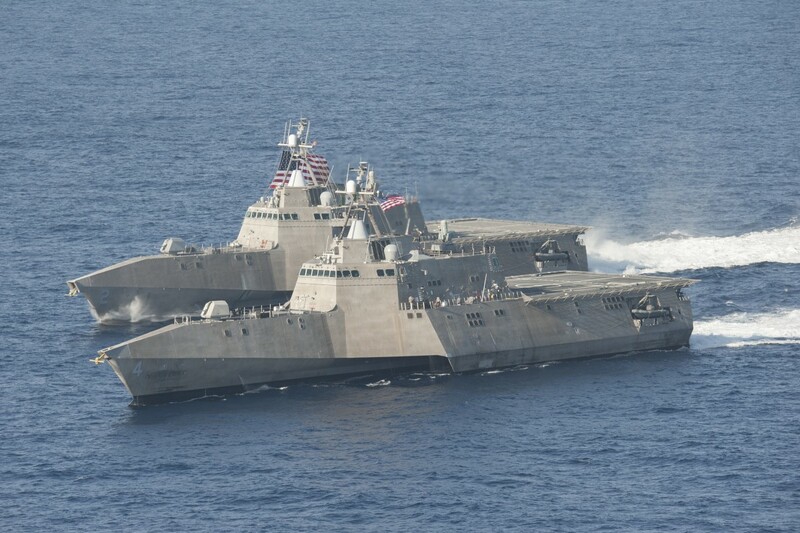 Austal Limited (Austal) (ASX: ASB) today announced that it has been awarded construction contracts by the U.S. Navy to build two additional Independence class Littoral Combat Ships These ships will be the sixteenth and seventeenth ships in the class. The specific value of each contract is under the congressional cost cap of US$584 million per ship (circa A$1.6 billion for both vessels). The 127m, frigate-sized vessel was originally designed in the Austal centre for excellence in maritime design, based in Henderson, Western Australia. The vessel design has been transferred to Austal USA and build is undertaken in the Austal purpose built shipyard based in Mobile, Alabama USA. “We remain dedicated to building these ships safely, timely and with the quality and craftsmanship that Austal has built our reputation on” he said. Austal continues to reduce cost and deliver on schedule, handing over three LCS vessels to the Navy this year, all under the congressional cost cap. The littoral combat ship has been identified as a key component to the Navy’s ability to gain sea control through distributed lethality. This, along with the highly-successful Expeditionary Fast Transport (EPF) program, positions the company well to rapidly and efficiently support the Navy’s desired fleet of 355 ships with affordable solutions. Construction of LCS 32 is scheduled to begin in 2019 with delivery of LCS 34 expected to occur in mid fiscal year 2023. Austal delivered the future USS Charleston (LCS 18) to the Navy last month and is scheduled to deliver USNS Burlington (EPF 10) before the end of the year. With nine LCS and nine EPFs already delivered, Austal-built ships are positively impacting worldwide operations.